While in the area, why not stay a while and explore the wealth of natural, artistic, boutique and sometimes, eclectic attractions that make up the Wild Coast Jikeleza Route? Learn about our maritime heritage and navigate the new Wild Coast Jikeleza Shipwreck Route along our beautiful shoreline. 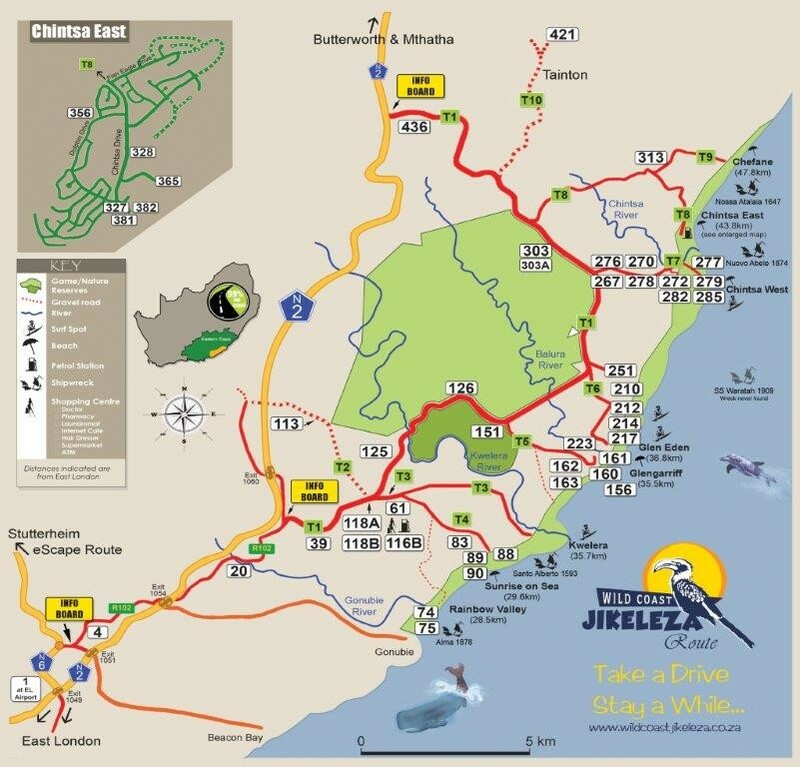 The route starts just outside the East London suburb of Beacon Bay, in East London and ends on the N2 some 30km away. For the most part it follows the T1 Road (also known as Schafli or the East Coast Resorts Road) with several stops on a number of tarred and well sign-posted trunk roads ranging from the T2 to the T10. The route is in a malaria free, pristine coastal area of temperate climate and exceptional natural beauty. Families are valued throughout and there is, quite literally, something for everyone!